Find your nearest voiceover, studio or hire your studio to other voices. You do know there are fantastic studios outside the major cities right? Got a studio? Got a website? Not being found? Let Studio Finder help. Are you a voiceover? Want to make some extra money? List your studio. Add Source Connect NOW to your profile and show clients what else you do. Find studios near me. Remote studios for Voiceover? Thats us. Need to get an actor to a studio? Don't want huge travel costs? Create a FREE profile and let your site benefit from our website SEO. Going away on vacation? 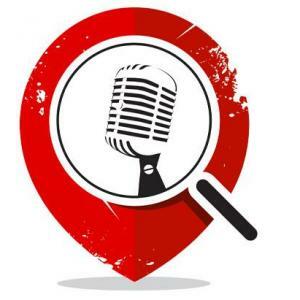 Need a voiceover studio nearby just in case? Professional Voiceovers with awesome studios available to be hired. Join hundreds of studios globally and list your studio today. Discover or Be Discovered. Lets showcase your awesome recording studio. Have an empty voice booth? Make some money. Get it listed for free. Looking for a studio near to your talent? Find the nearest and book direct. Make extra money as a voiceover. List for free and be available to be hired. Are you a production studio with empty studios? Are you a voiceover and would like to make extra money? Studio finder connects you to those looking for studios. Wherever you are on the planet, click ‘current location’ this will allow the app to find your nearest studio. Adjust the radius for how far you are happy to travel. If you know the name of a studio or user, search and explore the facilities on offer. Check to see if they have the equipment you need to voice your job. The app also allows you to refine your profile on your mobile device. Want to add or change pictures? Update your description? Add social media? If you’ve downloaded the app and are not listed, you can create a profile there and then. Choose and protect your own unique username and come join us. Impressed with a studio? You can share a studio on social media, providing a hyperlink direct to their profile. Want to promote your own? Just 1 click makes it easy. If you’ve downloaded the app and have found it useful or are impressed with what we’ve created, a review will greatly help our position on the app store. Thank you.